I had already gauged that the macro performance of the RX100 is far from outstanding and this trip just confirmed it. To understand what I am talking about have a look at these two pictures both taken at 5 cm from the front port of the camera using a 3:2 format. The first image is shot with the RX100, note the shallow depth of field of the large sensor in P mode. All looks good however if we take the same shot with a Canon S95 that has a 1/1.7″ sensor we get this result. To make matters less complicated and don’t get too technical you can measure with a ruler the size of the memory card in the pictures. The S95 presents an image that is 26% longer than the RX100. It is like saying that compared to the RX100 the S95 has a 1.26x magnification. In video diopters are not very popular because camcorders have small chips around 1/2.5″ and a 10x optical zoom and can focus at very short distance. So usually a no diopter is needed for regular macro work and a 4D is really only for pygmy seahorses. With our RX100 however we need a 5D just to have a decent macro performance. Actually even a good size nudibranch looks small in the RX100 underwater without any lens. Moreover the RX100 has only a 3.6x zoom so even with a diopter that allows to focus a telephoto at closer distance things don’t really look that big so we are looking at 5D for basic macro and 9D for super small critters. The RX100 has a number of housing options with M67 thread as standard, this is the most popular format for diopters and there is ample choice there. If instead we want to use bayonet mounts we are pretty much limited to Inon or Seatool. The first three options are adequate for most of the macro work with the RX100 and get you to fill the screen for almost all subjects except the smallest pygmy seahorses. As we increase magnification we get the RX100 to a point where is very difficult to produce any decent footage. A 10+ diopter works very well for still pictures where you only have to take a single shot but for 10 seconds of decent footage is close to impossible to achieve focus without a tripod. Looking at the featured image on this post this is a still picture with two Inon UCL165AD stacked at full telephoto. When I was in Raja Ampat I tried using two UCL165 it was very hard to get anything in focus however the performance is pretty good this is a snapshot taken from my footage. in this short clip I have a compilation of subjects, if you believed that an hippocampus bargibanti was tiny have a look at hippocampus denise, Pontohi and especially Satomi (1cm) in this clip to have an idea. All in all I am satisfied as I shot 12 minutes of seahorses and could use around 2 that were not too shaky. I do not use software stabilization as I don’t like the warping effect that CMOS sensor camera give so this is all done by hand. 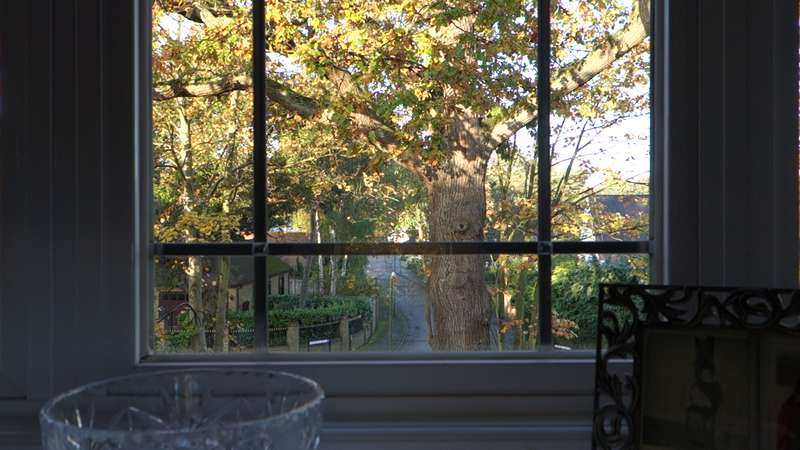 I did slow down some of the footage to half speed and this is were the 50 fps of the RX100 come really handy. Other than Pygmy seahorses that are between 1.5 and 2.5 cm in size there is no need for such high magnification, in fact for the rest of the trip a single UCL165 has been more than adequate. Looking at cost an Inon UCL165 costs less than a subsee 5 so that is the most cost effective option if you ever think you will need a very high magnification and you are able to be super steady to avoid shake as it can be stacked with another UCL165 or an UCL330. Specifically having experienced the two UCL165 stacked I think that is probably too hard to handle so a combination UCl165+UCL330 should be the perfect choice for pygmy and similar at 9D alternatively a subsee 10seems the logical super macro choice. A final tip is camera modes for macro, as discussed in a previous post aperture priority is the way to go and allows you to have enough depth of field so that you have sufficient part of the subject in focus. However this brings also the consideration about lighting. I took some shots in program mode with the RX100 and two Sola 1200, in some situations is quite hard to achieve f/8 or higher numbers with the two lights at the minimum power of 300 lumens with the lowest ISO. It follows that if you operate with a single light you need to have at least 800 lumens and put the light to the max, this may scare skittish critters and prevent you taking the footage you want. A possible solution is a red filter on the light followed by in camera white balance however a single light does produce harsh shadows and this needs to be taken into account. In conclusion a diopter for macro work with the RX100 is a must so choose one that fits your needs and ensure you have sufficient lighting to support the small aperture required by the camera large sensor. I have a been a bit busy lately fighting with the MTS video files that the RX100 produces, I finally have an automated tool that converts all files into MP4 ready for iMovie that works a breeze. Anyway this post is not about that workflow but about housing choices. I have received quite a few inquiries about housing choices and although I am not associated with any manufacturer or reseller I thought it would be a good idea to share my thinking. When I had to choose a housing for the Canon S95 I chose a Recsea, in fact my buddy uses it, the latest WHC-S95D for still pictures and it looks pretty much like this. A few bits got me frustrated with the Recsea housing one was the rear control. This may look great but I have been frustrated when underwater the pressing of the buttons was mistaken for rotating the dial itself. 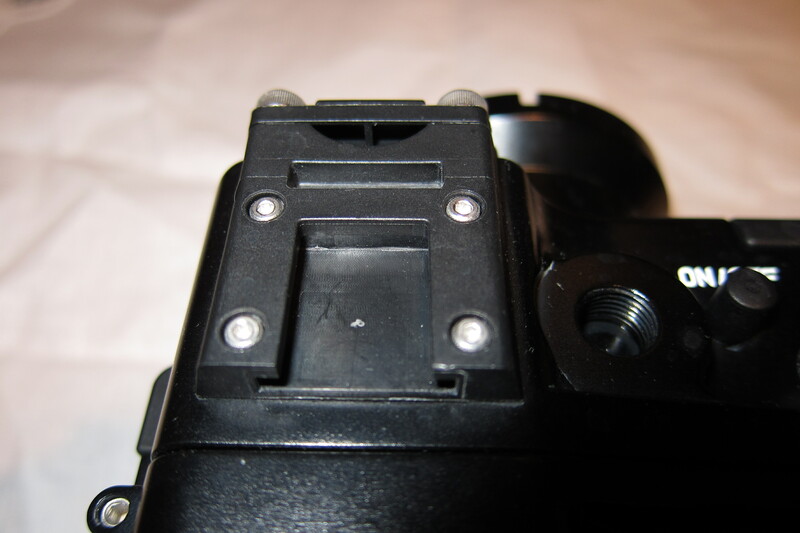 The other thing that I thought was pretty poor was the cold shoe for the focus light, this is a small piece of metal and the screws need to be treated with thread lock if you don’t want to lose it underwater. Not to mention the mode dial that is really stiff. Finally the bottom of the housing where the screws go is made of steel threads, in fact you should be careful not to leave an aluminum tray in salt water as it might corrode the housing. This may seem unlikely but I have seen other Recsea housing with huge speckles that mean corrosion. 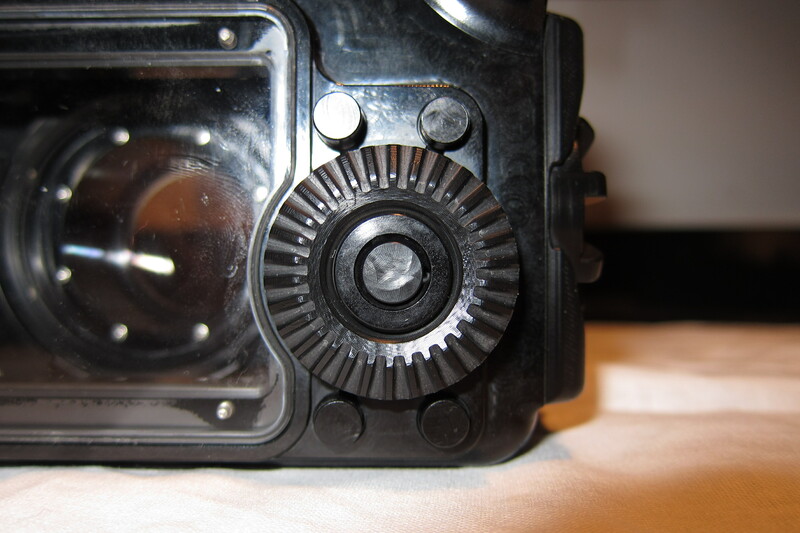 Recsea produced a housing for the Canon S100 that introduced a front ring like the one on the camera itself but the housing remains the same of the S95 for the other features. The choice of the Recsea housing over others at the time was mainly because it was easier and more cost-effective to get adapters for the Inon AD lenses I have. So when the new housing for the RX100 came out, first on the market from Recsea, I studied carefully the pictures to see how specific issues had been addressed. In essence the housing for the RX100 is the same of the Canon S100 and has the same annoyances that I did not like with the S95. So I waited until Nauticam came out with their product, which is in fact made by the same plant that did the Fisheye-fix for the S90/95/100 we can recognize the same features in this housing. The first is that there is no integrated rear dial, the buttons are separated from the rotation, this means the housing is very precise and there is never confusion in button presses and response from the camera. The second is the top of the housing itself, the mode dial is smooth and the cold shoe is top quality as it was the fix s100. The cold shoe is robust and takes easily not only adapters for 1/2″ loc-line but also 3/4″ which is great. Finally as it was on the fix housing the bottom of the housing has got two zinc plates to act as cathodes and avoid corrosion. Personally I don’t like M67 wide angle options for the RX100 as those are heavy lenses in water however if you already have them than you are sorted. What about the Ikelite housing? 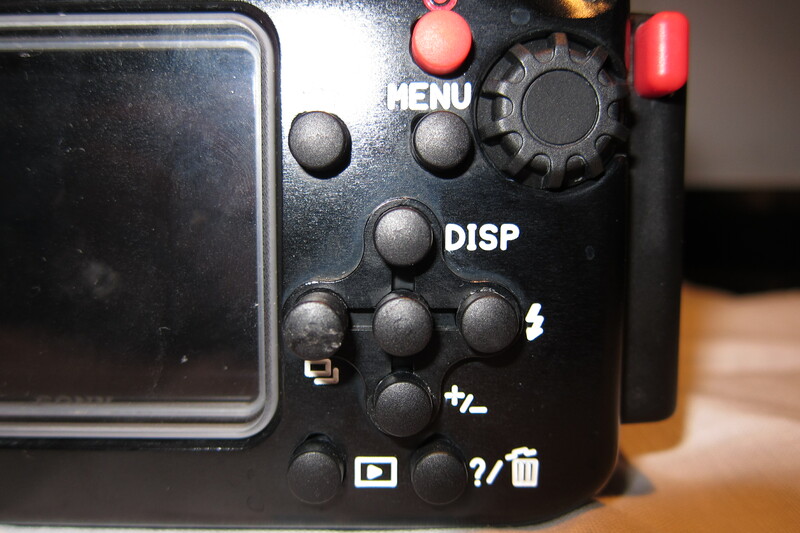 Ikelite had issues of sticky buttons with the Canon S100 so for the Rx100 they have gone back to a large form factor. Personally I don’t believe a polycarbonate housing of such size is very appealing however if money is lacking this is the only choice at the bottom. It does not come anywhere near the quality and features of Nauticam or Recsea. 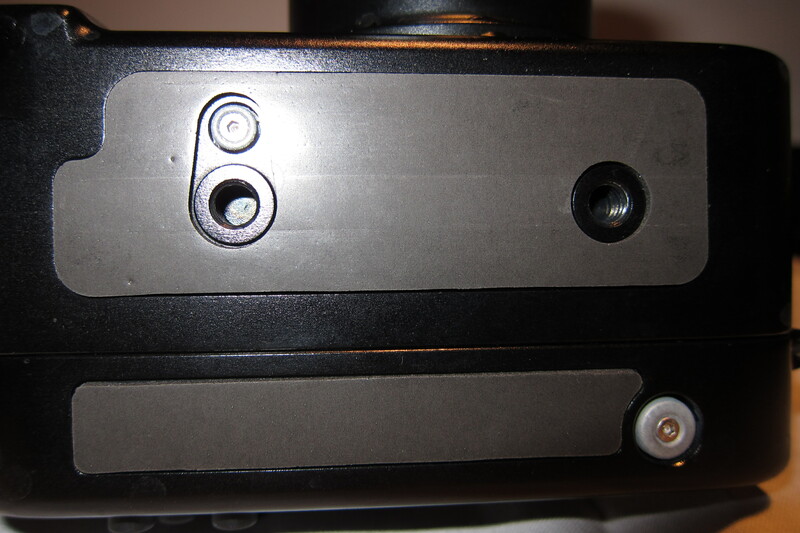 There is also another housing from Patima that has just been released, I have just seen the pictures and it does not look particularly attractive, the closing latch looks ancient, the rear section has button and dials too close and the control ring control placed on top of the camera is just unpractical. It is priced at source at $699 so 27% cheaper than the Nauticam, but this comes at a price: there are plenty of design shortcuts that may create usage issues underwater. In conclusion the Nauticam I believe offers the best quality and value for money for the RX100, with the exception of the front ring being operated in a traditional mode I don’t see any faults with this set up and I would recommend it for both video and stills, if you don’t have that amount of money and you want to use your RX100 just for video then the Ikelite is worth a try, but not if you want to use the camera also for stills. 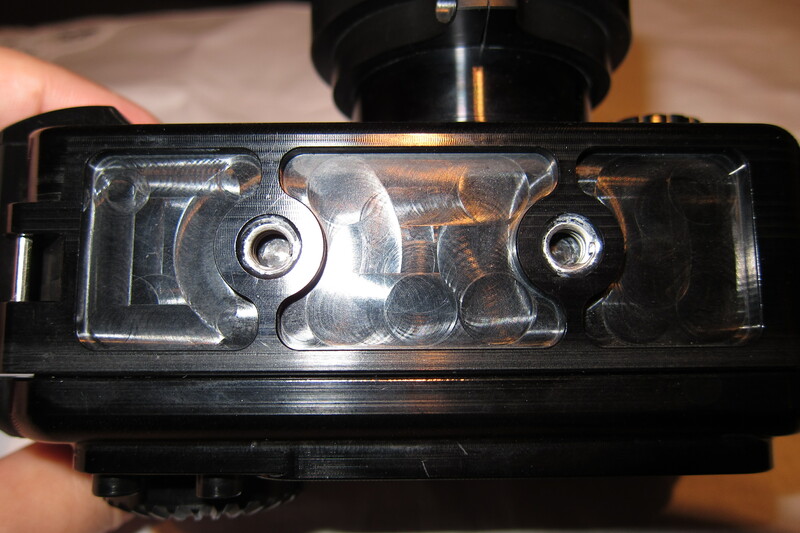 Nothing specific to Ikelite but transparent housing give too many issues with strobes to even bother. The manual option may sound very exciting to someone that comes from still photography but in the end is not that significant in video. Not sure how many have heard about the ‘180 degrees shutter rule’ anyway google it there is some good explanation there. In essence once you fix the frame rate you have pretty much fixed the shutter speed as well so this takes away one of the exposure variables, we are left with aperture and ISO. Aperture is available in 1/3 of Ev however in wide angle shots with a wet lens most of the times with subjects 10 feet or 3 meters away the camera even with this size sensor has so much depth of field that there is no much point bothering. ISO in video goes from 125 to the max in 1 f-stop increments so after 200 you have 400, 800 and higher values that are not good for video as the H264 compression makes the footage grainy. I would recommend limiting the max auto iso to 800 or maybe 1600. 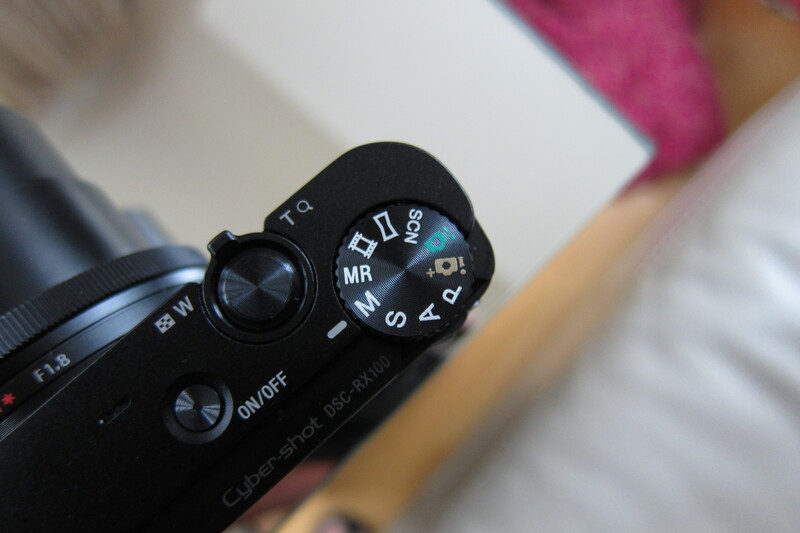 So the manual mode allows you to set the exposure, now is that a good thing? As seen earlier on Part 2 this is indeed a good thing in specific situations such as wreck penetration, caves and the likes. It is not however that great for general wide angle and if you ever happen to do camera pan or change the angle of the camera. 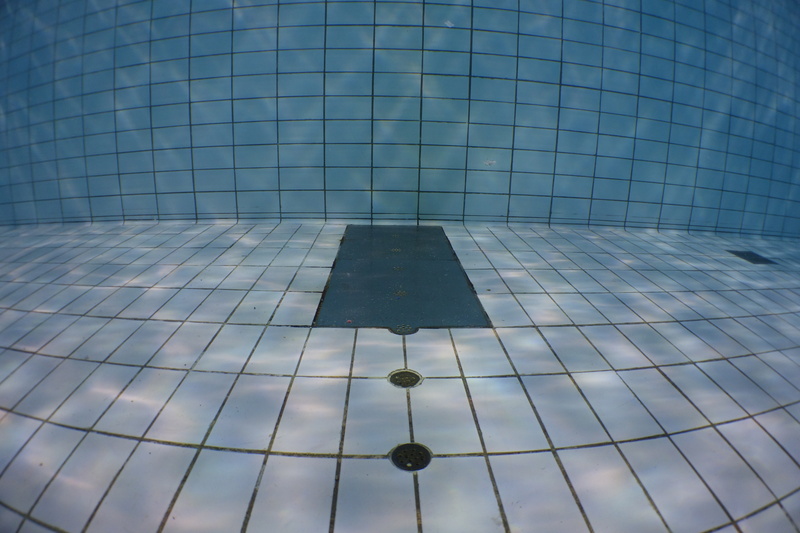 Panning is not that great in underwater video but sometimes you need it and fixing the exposure is not a good idea. So the Manual mode is good to take control of the camera in specific situation but in most cases is an overkill as there are not many parameters you can really change independently. Following on from the shutter speed 180 rule the shutter priority is also pretty useless as we should set the shutter value to a multiple of the frame rate to avoid stuttering. Aperture priority is instead a great value add of the RX100. Diligently the camera will try and respect the 180 degree shutter rule but in specific cases, for example when doing macro with diopters or in close up, we want to really make sure we have the depth of field required. In that scenario I recommend leaving the ISO on Auto and not set it manually. So why Auto ISO? Because changing ISO in a digital camera is done amplifying the signal, is not changing film, so in effect the ISO does not need to go in f-stop values at all. So leaving it on ISO the camera might as well apply values that you cannot choose manual. This uneventful picture taken with the RX100 and an Inon UWL105AD shows a value of 320 in ISO as it has been shot in program mode. We could not select this value if we were setting the ISO manually but would have needed to choose between 200 or 400. Aperture priority is my favorite mode for those special situation where extra control is needed. So what about the Program Mode? Actually that is not bad at all, especially for wide angle shots, as mentioned the shutter speed is pretty much set, in program the camera tries to keep the lowest ISO as possible and opens the aperture accordingly. This behavior may be acceptable with sufficient ambient light so I would not discount this mode at all. In this post we will look more closely to the image stabilizer options built into our RX100. The RX100 is equipped with the Sony Steadyshot technology that has been around for quite a while however in this new camera we have a new additional feature that may as well worth exploring for our purposes, the Steadyshot active mode that was first introduced in the alpha series. The active mode is only available for movies; for stills the choice is limited to the Standard mode, it is of course possible to switch off any type of stabilization, I do not recommend doing this for movies. So how does the Steadyshot system work? The standard mode is based on a gyroscope sensor present inside the camera that gives information to the microprocessor so that this can adjusts the relative position of the camera sensor with respect to the lens and compensate for the movement of the camera. More details are on the Sony website here. There is no doubt that optical stabilization is a great help for still pictures however we have all experienced that this does not really lend a great help in situations where the camera moves quite a bit, for example if you walk with it taking footage, or in a dive when you have surge or uneasy conditions. Usually in post processing we then add a software stabilizer that works out the camera’s pan and rebuilds the frame around it, this comes at the expense of cropping. Some cameras do not have an optical stabilizer but only an electronic system which is equivalent to the routines that editing program implement in post processing, Sony with the SteadyShot Active mode combines optical and software stabilization techniques. 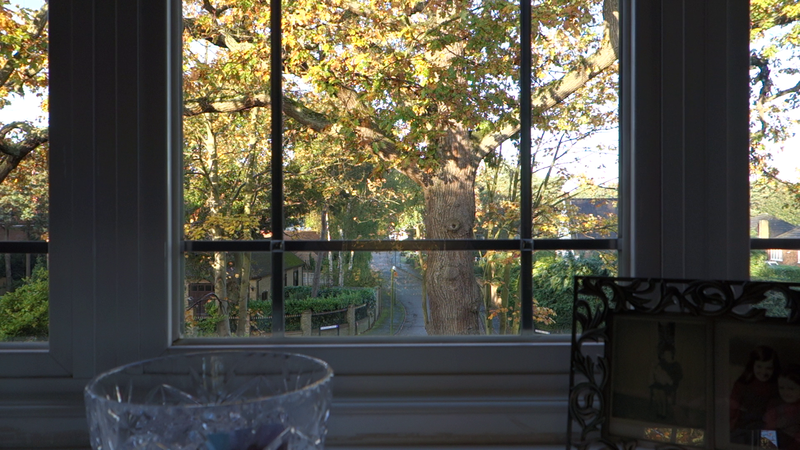 I have put the RX1oo on an tripod fronting the window frame and set the camera in SteadyShot Standard mode, the diagonal field of view in this case is 73.44 degrees (it is actually 72.97 if we calculate accurately but let’s not worry for now). You may wonder why this is not in excess of 75 degrees as the camera has a 28mm focal length at 35mm equivalent, this is because the camera sensor is 1″ wide with a 3:2 form factor, but in movie mode we are in 16:9 so part of the picture is lost and this makes the field of view smaller. In fact Sony declares the 35mm equivalent as 29mm in Movie mode, against a more accurate calculation of 29.25mm. In this shot we see the camera in the same position but now in SteadyShot Active mode. We see that we don’t have anymore any light on the sides of the window frame in fact right now this completely fills the camera frame. Sony declares an equivalent 35mm focal length of 33mm in active mode that reduces the diagonal field of view to 66.5 degrees this corresponds approximately to a 10% reduction at field of view level. This crop is needed by the camera software in order to work out the camera pans and have sufficient margin of error for the calculations. Now when it comes to underwater video should we be tempted by the SteadyShot active mode even if that means loosing some field of view? I guess it depends, most of compact camera users do not have underwater tripods, and the additional stabilization help is welcome especially when zooming in for example for macro or performing panning shots. This also brings another consideration in mind, there are many wide angle lenses designed for cameras with 35mm equivalent focal lengths, that could be suitable if we intend to keep the Steadyshot in Active mode. A lens that immediately springs to mind is the Inon UWL-100, this is a lens with an M67 thread as natively supported by three of the housings currently available for the RX100, the Ikelite, the Nauticam and the Patima, an M67 mount adapter is also available for the Recsea housing. The Inon UWL100 supports camera with focal lenght >31.5mm and would on paper be suited for video use with the RX100 with steady shot in active mode, this lens should not vignette at the widest setting due to the image crop and reduced field of view of the 16:9 frame in movie mode. 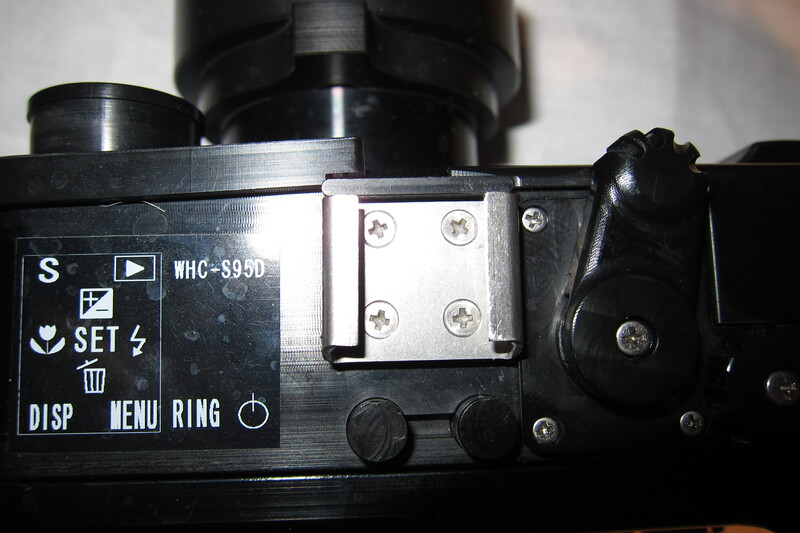 Another lens that come to mind similar to the Inon is the Epoque DCL-20 or Ikelite W20 those correspond to the Inon UWL-100 with mount type 2 and might not be suitable for the Ikelite housing. Ikelite tends to position the thread further away from the port so I invite you to test yourself before drawing conclusions as the increased distance lens to port generates soft corners. Finally the Olympus PTWC-01 is also a potential candidate for testing for what concerns the M67 options. If you happen to have any of those lenses with your current set up and are thinking of upgrading to the RX100 to use it for video you may well be able to use your lenses again and save yourself additional investment. 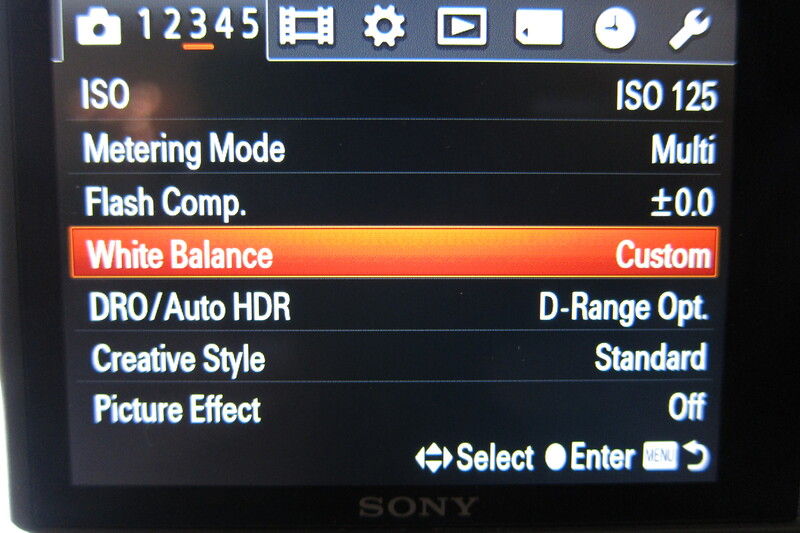 In this third post we will look at setting custom white balance in our RX100. 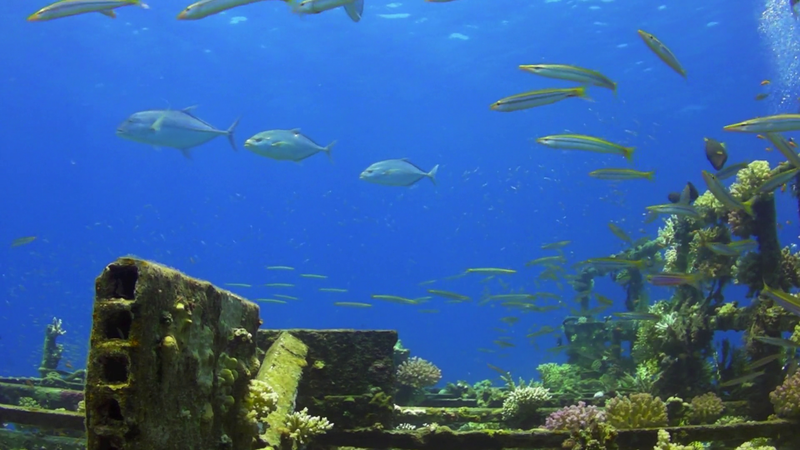 The ability to change the color temperature and adjust it to the conditions is essential to take underwater video as the ability to correct white balance in post processing is nowhere near what you can achieve with RAW files in photography. Unfortunately the RX100 does not allow to set a custom white balance in video mode, and actually does not allow setting it in many other modes either. So to achieve our objective we will need to use the mode dial. Note that the RX100 has the ability to store custom setting in 3 memory recall modes however in this mode the set custom white balance option is not available. As we don’t have a one push option we need to minimize key presses to build a reliable routine that we can recall underwater. Preparation is important and the RX100 has two options when it comes to recalling functions from the menu as we can see from this picture. It is essential for our purposes that in this screen we select Previous, this will position us on the last entry we used when we click on the menu button again. The other option Top does not recall what the last entry was and puts you back on the top of the relevant menu, and would mean more navigation for us, so make sure you are set on Previous. Another important trick to remember is that through the Function button we can recall the various white balance settings. In my set up white balance is right in the center of the function option so that when the function button is pressed we are immediately there should we need to change it back to Auto when we use lights, so when we plan to custom white balance this should be left on the Custom position as in the main picture of this post. The other preparation that we need to do is to go in Manual Program mode and navigate until we reach the entry that allows us to set custom white balance as shown in the picture. Note that from here we still have to actually select and go into another menu to then finally navigate to the bottom where the set custom wb option is. We now want to re-balance either on slate or some grey area or sand so how do we do it? The starting point will be in Movie mode with the White Balance set to Custom (remember this is not to set a new WB but just to recall the last white point set). And we are done an 8 steps routine! If you were used to a one push option this is a shocker!!! 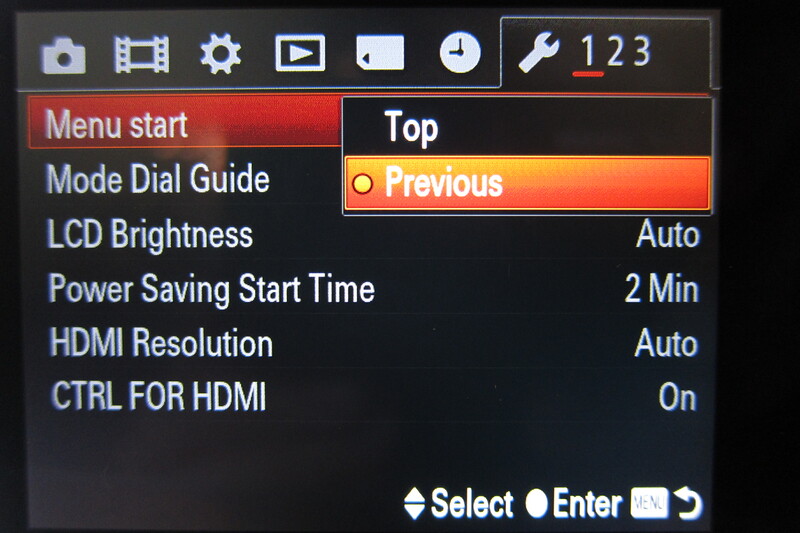 For those on the more conventional option Menu-White Balance-Custom WB-Set-Menu this adds 3 more clicks. I believe those issues can be fixed by a firmware update quite easily as they are clearly software issues the camera itself has got all the required capability. That’s all for now if anybody has any alternative approaches that improve this routine I look forward to hearing what those are! 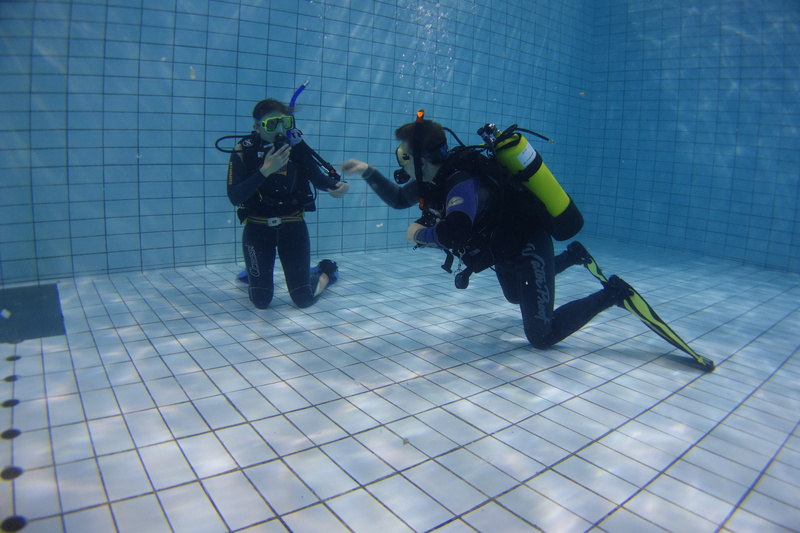 In this second post we will look at how to set the rear dial buttons to best suit underwater video. The RX100 has got a whole load of settings and not the most user friendly menu structure so it is important to have the features you need at your fingertips when the moment comes. It may be beneficial to understand first why those features are important so let’s have a look one by one. Have you ever experienced being in a school of fish? Or looking at some frantic behavior in front of you or simply seeing glassfish swarming in front of your camera lens? This is not a still picture but a snapshot of a clip taken at 1/125 sec shutter speed, the action was actually fairly fast. this scene is in the first part of the movie and has been shot with AF Lock on a Sanyo Xacti HD2000. What would have happened without AF Lock? The camera would have been looking for focus and mistaking some of the fish coming close with the actual subject and as result the clip would have been unwatchable. So this makes focus lock very important for us in all situation where we operate in tripod mode with moving fish in front of the lens. Note that is not possible to simply cancel tracking AF to obtain AF lock as the contrast detection system will still wonder around the center of the frame. 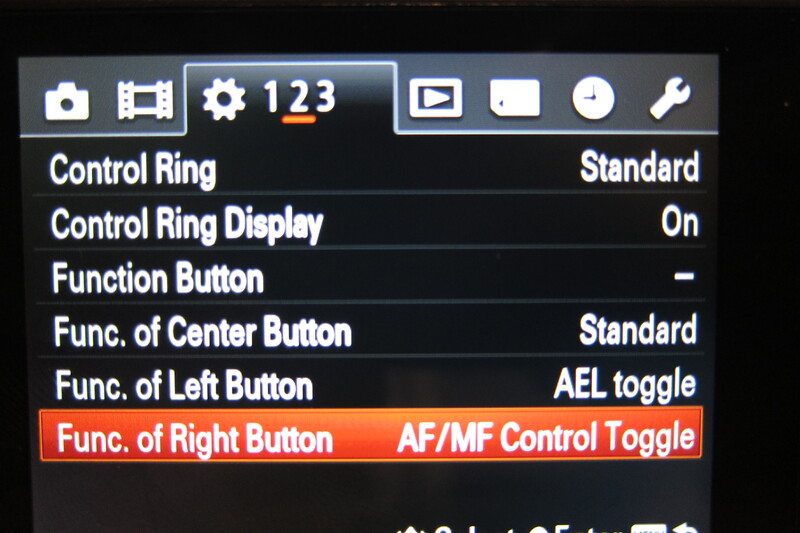 This means that one of the rear dial buttons accessible in the menu settings 2 should be set to AF/MF Control Toggle that will allow us to quickly operate the steps above and move with one click from tracking AF into manual and effective locked focus. 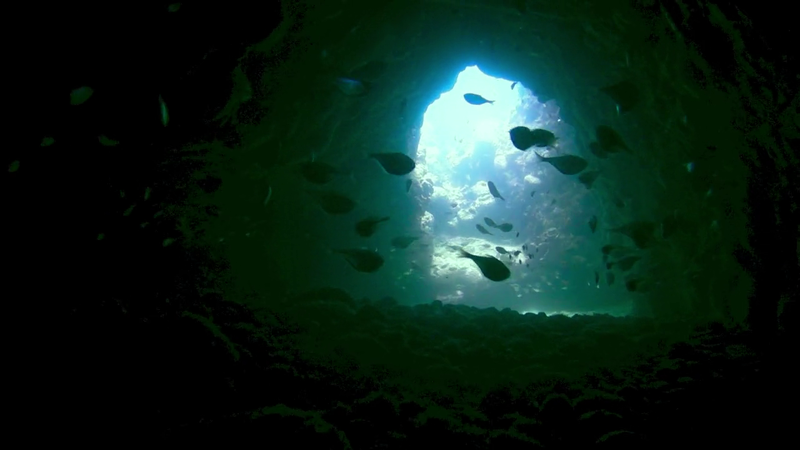 This is a swim-through that is a common features of little caves or even wrecks. We don’t want the camera to compensate for the lack of light whilst we go through as that would increase the ISO and make the footage grainy, also the scene would get brighter and not reflect to the viewer the same experience we had. Note that I left the center button to standard as that corresponds to tracking focus. That is required for the pseudo AF lock in conjunction with the Right button as discussed earlier in this post. When the new SONY DSC-RX100 was released early June many people were really excited as this camera featured a 1″ sensor at its heart. This sounded quite uneventful considering that we are almost used to one push custom white balance on most mid level compacts. Maybe those guys looked at the Sony entirely from a still perspective and did not make much of the features or lack of thereof that this Sony has, anyway I have now bought the camera itself and I am facing a few issues and dilemmas. SONY has decided to adopt the new high specs AVCHD formats for this camera, I will from now on refer to 50p or 50i to indicate 50 progressive or 50 interlaced frames as this is the PAL standard. This would be 60p or 60i for NTSC US and Japanese users. The AVCHD format had initially a 1080/50i and a 1080/24p format and a bunch of lower resolution formats, later on a 1080/50p format has been added with an increased bit-rate of 28 Mbps instead of the original 24. Now you would normally assume that Sony would have chosen to support all those formats and instead has decided just for the 1080/50i and 1080/50p. The universal 1080/24p format that is compatible with both PAL and NTSC is not supported on the RX100. Why has Sony made this decision is a mystery. The make things worse today interlaced display do not exist anymore and most of the non linear video editor convert interlaced footage in progressive otherwise you can’t actually edit the clips. Not only that very few software programs actually accept the new 1080/50p format, with the notable exception of Sony software that even at low level supports those formats. Adobe premier is another one, but the whole set of Apple software including iMovie and Final Cut Pro don’t know what to do with those files. Let alone the fact that no devices except powerful computers can actually play those files well. The RX100 offers an MP4 format at 1440×1080 rectangular pixels with a 16:9 aspect ratio as a reminiscence of HDV. This format is however easily digestible by the majority of NLE on the market. So we would feel rather tempted to use it. 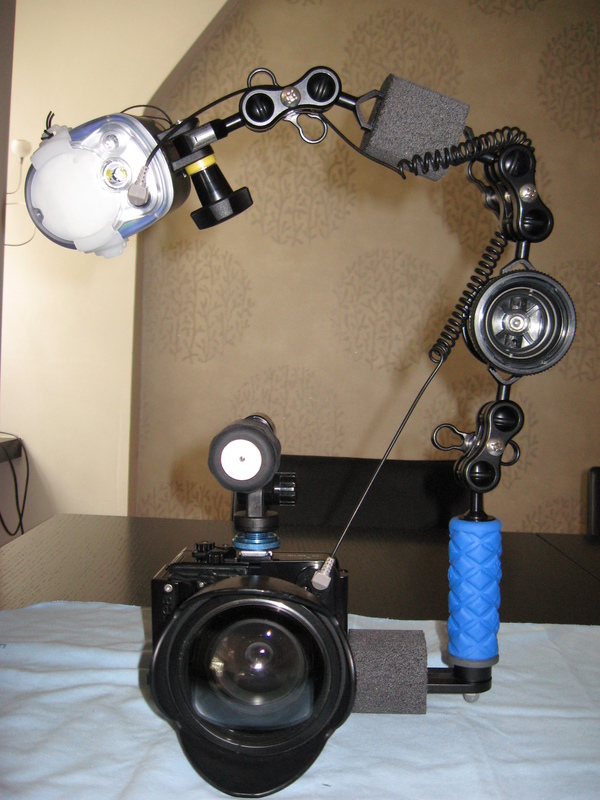 The question is how do we set our RX100 to capture underwater video? The answer is actually at the highest possible setting that is 1080/50p. There are several reasons for this. On a negative note the fact that we are saving AVCHD streams means goodbye back ups on our tablets or mobiles so plenty of memory cards with us during our trips. The next challenge will be to import the AVCHD streams into our movie editor. As mentioned earlier the 1080/50p format is not recognized by many entry level programs so some will not even see those files. Other programs will try and convert it, this option has to be disabled and the files imported as they are without any changes to preserve quality. So what do we do if our software refuses to process the 1080/50p files in our AVCHD streams? A number of help tools come handy unfortunately the freeware one are mostly on windows and I have not managed to produce anything that works yet with Wine for Mac. On Mac there are two tools iVI that costs $9.99 and ClipWrap more expensive both functional and will produce an M4V or MOV that can be processed with iMovie or other tools that would have previously rejected the file you go figure!! !